Welcome to Oceanic Freight & Consolidation, Inc.
Oceanic Freight & Consolidation, Inc, located in Miami, Florida, is an independent freight forwarding and logistics company, established in the year 1983, providing sea and air shipping between the USA and the Caribbean Nations. Whether you are looking to ship a small package, barrel or full container load Oceanic Freight & Consolidation, Inc can help you with the transportation of your goods. Why use Oceanic Freight & Consolidation? 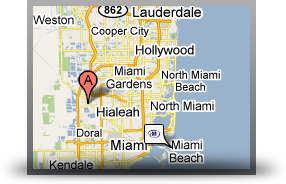 We are located in Miami, Florida. We have been in business since 1993, serving a majority of Caribbean destinations. I have been working with Oceanic Freight & Consolidation Inc for a few years now, and one phrase sums up the Oceanic experience “Quality Service”. Neil and his team at Oceanic are on top of their game! Communication is always flowing and the professional manner in which business is conducted leaves nothing to chance! I give this company 2 thumbs up for the job they have done thus far where my shipping needs are concerned and I’m sure our relationship will grow for years to come..